Amid the brouhaha surrounding the large land concessions managed by members of Indonesia's political elite, Coordinating Maritime Affairs Minister Luhut Pandjaitan has admitted to owning a 6,000-hectare coal mine in East Kalimantan. The coal mine, the senior minister said, was a concession granted by the government and was still in operation and productive. He denied owning cultivation rights over other land in the province. "I suppose there is no problem as long as [the concession] is productive and [the company] performs its responsibility properly," Luhut told reporters on Tuesday. His statement came on the heels of finger-pointing between the two rival camps in the presidential election over the number of large property concessions owned by the members of each. It started when incumbent Joko "Jokowi" Widodo revealed publicly that his rival Prabowo Subianto owned hundreds of hectares of land in East Kalimantan and Aceh. The former general said that he owned cultivation rights over the lands and was ready to return them to the state if necessary. Prabowo's campaign team said he was willing to return the lands only if people backing Jokowi's reelection, some of whom were political bigwigs who owned business, were also willing to do the same. 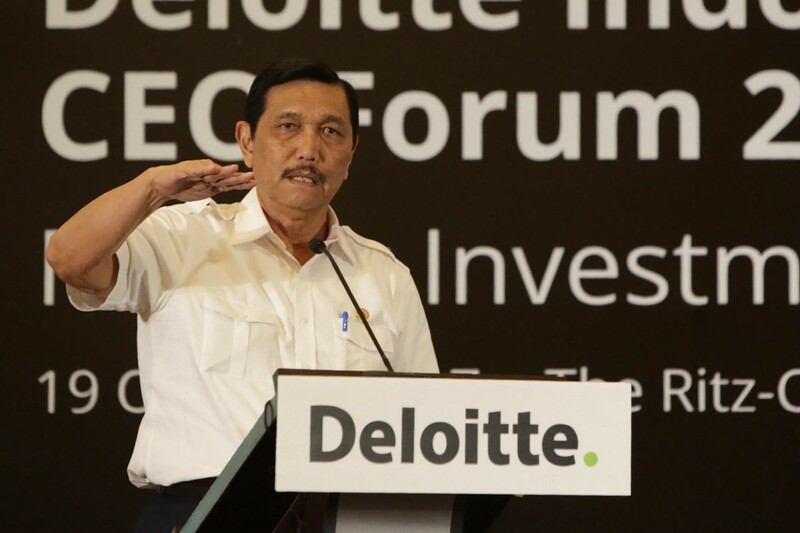 Besides being a politician, Luhut is a renowned businessman who managed mining and forestry businesses under the PT Toba Sejahtra business empire, which was cofounded by the former Army general in 2004. A report by a coalition of environmental NGOs, including Greenpeace Indonesia and the Mining Advocacy Network (JATAM), previously revealed that some coal companies in East Kalimantan, which are claimed to be connected to Luhut, abandoned mining sites without backfilling them as stipulated in Law No. 4/2009 on minerals and coal mining. The sites have become large ponds that contain highly acidic water, as well as metals such as aluminum, lead and mercury. JATAM recorded that at least 32 people, including children, have died at the abandoned coal mines. The report said coal firms PT Trisensa Mineral Utama, PT Indomining and PT Adimitra Baratama Nusantara — the subsidiaries of energy and plantation firm PT Toba Bara Sejahtra (Toba Bara) — had abandoned mines in the province. Toba Bara is partly owned by Toba Sejahtra. Responding to the report, Luhut first said he had sold his ownership of Toba Bara when he became a government official. He also said he was no longer involved in managing Toba Sejahtra. His most recent acknowledgement of his ownership of the coal mine proved he was still in control of the Toba Bara. In December, Toba Bara through its subisidiary PT Toba Bara Energi acquired shares of PT Batu Hitam Perkasa (Batu Hitam) from PT Saratoga Investama Sedaya (Saratoga), an investment firm which is owned by, among others, Prabowo’s running mate Sandiaga Uno. Toba Bara paid US$54 million to take over Saratoga’s control over Batu Hitam, an investment company that co-owns the Paiton Power Plant in Probolinggo, East Java. Sandiaga, who is the main donor to Prabowo’s campaign, has also been selling his shares in Saratoga ever since he announced that he would be a vice presidential candidate running with Prabowo. The former Jakarta deputy governor admitted he had to sell his shares in the company to finance the campaign, earning more than Rp 500 billion from the transaction.